Good sound for a great price, the JBL Flip 3 is better in every way than its predecessor. 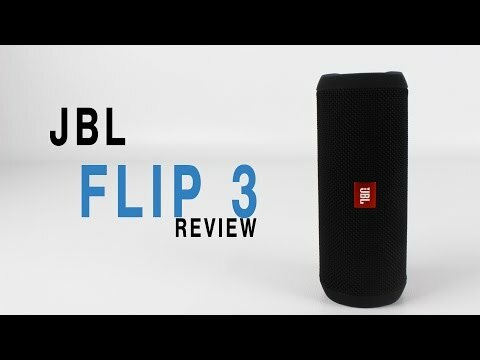 JBL has a track record of making good products that won’t break your bank account, and when the JBL Flip 3 was first released it was just another product to add to the list. It came out way back in 2015, and while there is a newer version out now some people might still be wondering if the Flip 3 is worth picking up. While the newer Flip 4 does have a few extra features thrown in, is it really that much better than the Flip 3 or can you get away with saving a few bucks and picking up the older model? Editors Note: This review was updated to reflect the market as it is in 2019, with new links to useful information, and an overall design overhaul to match the style of our recent reviews. In the box you get manuals, the JBL Flip 3, and a micro USB charging cable. JBL has a fairly standard boxing process and that hasn’t changed between the Flip 3 and the previous version, or any other JBL product for that matter. In the orange and white box you’ll get the Flip 3, a bright orange micro USB cable, and the warranty and information booklets. Everything is clearer in hindsight, and looking back it was really around the time of the JBL Flip 3 where the company really began to nail down its design philosophy. If you remember the Flip 2, you know that it was basically just a hunk of plastic. This was the first Flip to introduce the fabric covering which gave it the splashproof build and a way better grip. It also comes with an attached string for hanging from places which came in handy when hanging it from my pack on a hike and also just for hanging it somewhere in the bathroom during a shower. Of course, as the Flip 4 is newer there’s some expanded functionality, like an actual IPX7 waterproof design rather than just a splashproof covering. The speaker can lie flat or be stood on its side thanks to its cylindrical design. As far as button placement is concerned, the Flip 3 again blazed the path for the Flip 4 as they have almost identical buttons and functions. That said, it was different from the previous version which had all of its buttons along the top (or the side depending on how you orient the speaker). The Flip 3 has them embedded into the fabric of the speaker and also on the hard plastic portion on the back. The Bluetooth pairing button, volume controls, and call answer/end button are all found along the side of the speaker blending into the fabric. Along the spine are the power button and the JBL connect button which allows you to connect multiple JBL speakers together. The current version of this feature lets you connect up to 100 speakers together, but unless you have a lot of friends or a lot of money (or both), I don’t see too many people needing to connect more than three. Under that are five small LED lights that let you know how much juice you have left and further down you’ll find the AUX input and micro USB charging port hidden under a sealed flap. So what did JBL do to the ends? It turned them into dual passive external radiators which is just another feature that found its way into the Flip 4. The minimal branding on the JBL Flip 3 is limited to the logo on the exposed passive radiators and a small red tag. Using Bluetooth version 4.1, the JBL has a range of about 30 feet and we found this to be on the lower end of the spectrum. I was able to get to about 50 feet before any serious sputtering began to interrupt playback. The onboard controls work flawlessly and people couldn’t even tell that I was talking to them via the microphone built into the speaker instead of a phone. Playback controls also work as advertised as well so you can skip between tracks and pause or play music with no problems, which is fairly standard stuff that also found it’s way into the Flip 4 so you’re not really missing too much either way. On either end of the JBL Flip 3 is an exposed passive radiator. Battery life was another area that JBL improved on when making the Flip 3. When compared to the previous Flip 2 it was a huge improvement. It has a 3000 mAh battery that provides roughly 9.5 hours of constant playback which is going to get you through most of the day without a problem. Of course, the new Flip 4 adds a few hours to that and maxes out at 12 hours of constant playback. 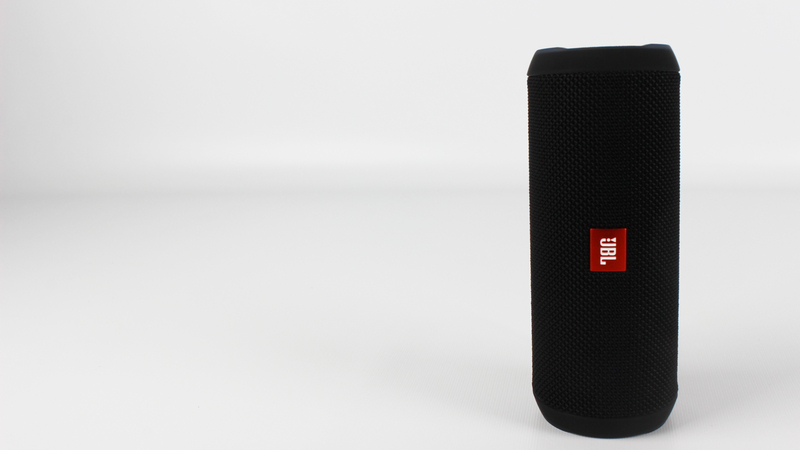 The JBL Flip 3 has a complete overhaul in design when compared to the previous Flip 2. The JBL Flip 2 was one of our favorite speakers for a long time not just because of the low price, but also because of the sound quality. We were curious how the Flip 3 would hold up to its predecessor and weren’t surprised at all that it also sounds very good for the price. The lows are nice and full sounding for a speaker of this size (and even some that are a little bigger). It can definitely be felt if you place it down on a table and let the external bass radiators to go to work. The bass in Baby Blue by Action Bronson can be easily distinguished but isn’t overpowering at all. The mids were a little bit forward but just enough to make vocals and guitars a little bit easier to hear and doesn’t ruin the experience at all. Even background synths weren’t annoyingly masked by other elements of the low end. Highs get a little harsh when maxed out, but if you keep it slightly under max volume it’s perfect. In Cinder and Smoke by Iron & Wine the screechy slides of the guitar will make your ears perk up a bit but if you lower the volume a little it’s barely noticeable. The minimal branding on the Flip 3 is limited to the logo on the exposed passive radiators and a small red tag. In the box you’ll get the manuals, the JBL Flip 3, and a micro USB charging cable. Should you buy the JBL Flip 3? JBL always had a good thing on its hands with the Flip series, but it seems like they rethought a couple of aspects of the speaker that made the Flip 3 the beginning of a good thing. It was, and still is, arguably one of the best speakers under $100 you can get. The only problem is that the JBL Flip 4 now exists, which has many of the same features and improves upon others (like an IPX7 waterproof build). It also packs more of a punch in the battery life department and still somehow manages to maintain a sub-$100 price tag. There are times when you can even find the Flip 4 hovering around $75, so unless you can find a Flip 3 for dirt cheap there really isn’t any reason why you should pick one up over a Flip 4.